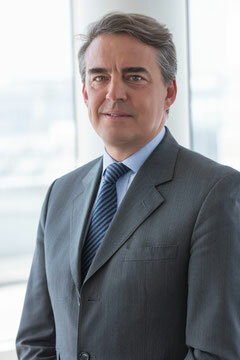 The decision to replace IATA’s retiring Director General, Tony Tyler with the recommendation to appoint the present Air France-KLM Chairman & CEO, Alexandre de Juniac, seemingly met with some bewilderment among some IATA members and the airline industry. It’s an old English expression, which basically means going from one hard rock to another. Mr de Juniac has led Air France-KLM for the past years and in May of last year received a further four-year extension on his contract from the carrier’s shareholders. Is it really surprising that he opts for the vacant IATA Secretary General position at this particular time? The move seems to have caught the carrier’s shareholders on the wrong footing. Air France-KLM stated that no successor has yet been appointed for de Juniac and that they would appoint head hunters to find a replacement as soon as possible seeing that Mr de Juniac will take up his IATA position already as of 1. August this year. Information is that the move by IATA to appoint Alexandre de Juniac was not widely expected within the industry. Mr de Juniac came on board at Air France in 2011 having previously held the position as top aide to the finance minister in the French treasury department. He took up the top position at AF-KL in 2013 and since then has been running a hard battle to try and keep the carrier’s head above water. He has enough past international connections to be able to take up the reins at IATA. But will he be successful there? IATA needs new ideas and someone at the top who will push them positively down through the ranks. Some wonder that whether Mr de Juniac, despite all his past political experience, will be able to manage that. He has been credited with trying very, very hard to restructure Air France-KLM and to bring the troubled duo back into black figures. Much of his input was to try and keep the powerful and sometimes very radical French unions at bay. The carrier suffered under internal unrest and crippling strikes by Air France pilots. One of his main aims as the airline industry’s chief diplomatic representative will certainly be to try and smooth things out as regards the swelling conflict between carriers in the Arabian Gulf and their western counterparts. Maybe Mr de Juniac has had enough of the internal strife at Air France and has opted for the IATA position. IATA and the needs of its members will be just as, if not even more challenging. this is how the french dump an unsuitable figure and at the same time hae lobbied intensively to get him the iata chair.